The Senior Center offers social services/outreach to senior citizens and their families. The Veterans Office is also located in the Senior Center. We are supported by tax dollars as well as grants and the Massachusetts Executive Office of Elder Affairs. 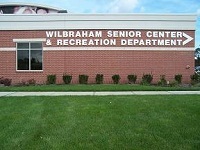 We welcome all seniors but when class size is limited, preference is given to seniors who are residents of Wilbraham.